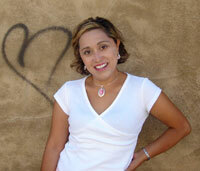 Associate Professor Cecelia Aragon received a KCACTF Excellence in Academic Scholarship award. University of Wyoming Department of Theatre and Dance students received top honors at the recent Region VII Kennedy Center American College Theatre Festival (KCACTF) and Northwest Drama Conference (NWDC), held at Colorado State University in Fort Collins. Junior Lauren Kottenstette, Longmont, Colo., was the undergraduate winner in the KCACTF Scholarly Paper division, for her paper titled, "The (In)Visible Voices: Theatrical Representations of Attention Deficit Hyperactivity Disorder (ADHD) In Kia Corthron's ‘Seeking the Genesis' and Lisa Loomer's ‘Distracted.'" Freshman Quinn Sciciluna, Wheatland, was runner-up in the KCACTF Critics Forum competition for his piece, "Little (censored) Riding Hood." In performance, senior Lauren Shultz, Cody, was the NWDC Musical Theatre Scholarship winner. In technical theatre, senior Treenuch Sunpituksaree of Bangkok, Thailand, won a NWDC Scenic Design Meritorious Achievement Award (Level 1) for her work on "Man of La Mancha." Cecelia Aragon, associate professor in the Department of Theatre and Dance, received a KCACTF Excellence in Academic Scholarship award for her papers "Soldaderas in the Mexican Revolution: Prostitutes, Soldiers and Intellectuals" and "Staging the Impossible: Joanna Baillie, The Gothic and Theatre of Cruelty." At all levels, KCACTF festivals and associated programs serve as a catalyst in recognizing, encouraging and improving the quality of university and college theater in the United States. KCACTF does this by creating opportunities for theater departments and student artists to showcase their work and receive outside assessment by selected respondents.